Since 1982, the [U.S.] Brewers Association has hosted an annual championship of American beer: the Great American Beer Festival (GABF). Since, 1996, it has also organised an international beer championship, the World Beer Cup (WBC). The GABF is held every year in September or October, in Denver, Colorado. 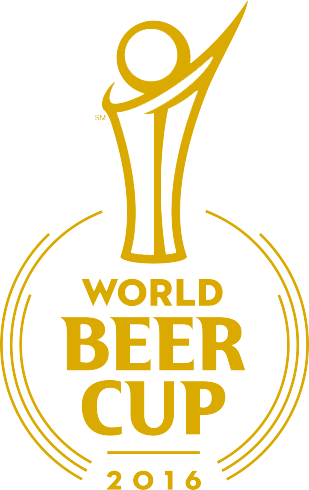 The World Beer Cup, in contrast, travels around the United States, and is held concurrently with the Craft Brewers Conference, but in alternating years. The 2016 edition has just concluded in Philadelphia, Pennsylvania. There is a whiff of American exceptionalism to the World Beer Cup: the bias of an international event held in the U.S., categories based upon American interpretations of world beer 'styles,' the cost of international shipping and transportation to the U.S., the deleterious effects upon beer from that travel. Be that as it may, at this year's competition, there were 6,596 beers —from 1,907 breweries in 55 countries— judged in 96 'style' categories. The average number of beers entered per category was 69, up from 50 in 2014. The category with the most entries was American-Style India Pale Ale with 275 entries. The second most-entered category was Imperial India Pale Ale with 181 entries. The third most-entered category was American-Style Pale Ale with 167 entries. A world-class beer that accurately exemplifies the specified style, displaying the proper balance of taste, aroma and appearance. An excellent beer that may vary slightly from style parameters while maintaining close adherence to the style and displaying excellent taste, aroma, and appearance. A fine example of the style that may vary slightly from style parameters and/or have minor defects in taste, aroma, or appearance. Additionally, 6 overall brewery champions were selected (all from the U.S.), based upon their size and a complex algorithm. Breweries are awarded points based on medals won, and these points are tabulated to arrive at the results. Here are the criteria used for awarding points, and the tie-breaking system used to rank breweries. Most Total Points – breweries are awarded points based on the number of gold (3 points), silver (2 points) and bronze (1 point) medals won in the competition. The second and third criteria have the effect of making a gold and two bronzes worth more than a gold and silver, while two golds would be worth more than a gold, silver and a bronze. The fourth and fifth criteria recognize overall competitiveness by achieving medals in categories with more entries than others. ... could claim the mantle of Best Brewery In The World, and, more so, Noble Ale Works, which not only brewed the gold-medal winning IPA —'craft' beer's most popular 'style— but the bronze for its Imperial IPA. I'd lay a wager that Miller Brewing —before it's subsumed into the Anheuser-Busch InBev hegemon— will claim the "World's Best" title. That is, until May 2018. 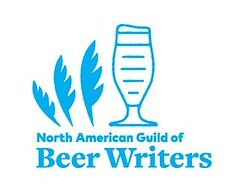 Read more from the [U.S.] Brewers Association: here. See a list of winners: here. Facts and figures sheet: here. 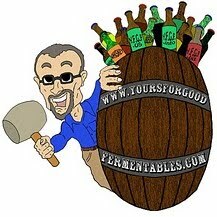 The website, BeerPulse, has a non-pdf list of the winners: here.